“Greenman in Autumn” Pendant Dagger finished! 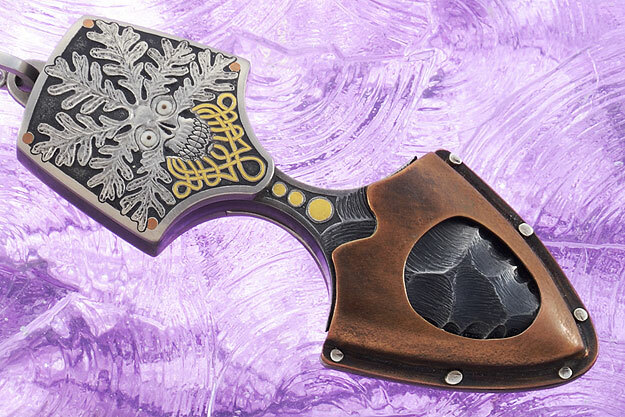 1084 steel blade, titanium scales, 24 karat gold inlay, double inlaid antler and dark horn eyes, with titanium, silver and copper sheath. Thanks for the support and encouragement and thanks for looking! 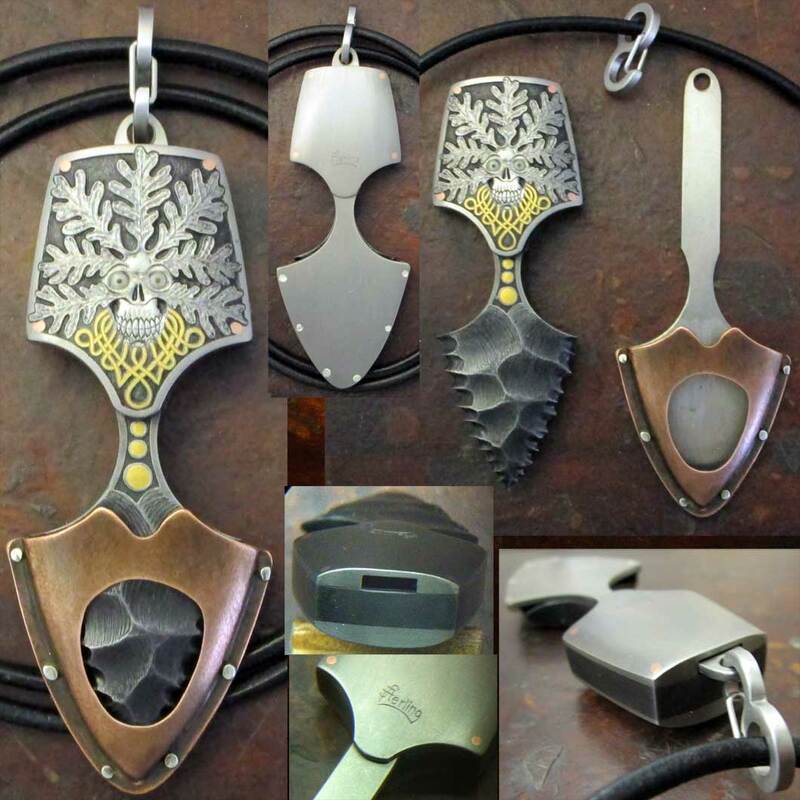 This entry was posted in Carving, Engraved Knife, Jewelry, Knapped Knife, Pendant, Press Forming and tagged carving, dagger, engraved, engraving, fabricated, fabrication, knapped, knife, Press Forming. Bookmark the permalink. The “Greenman in Autumn” Pendant Dagger is currently available at Bladegallery.com, price is $995. While they haven’t got it listed on their website, it is currently available and you can contact them at or by phone at (425) 889-5980.